Together with Janine Goldworthy we created a residency by distance through exchanging art works between Rotterdam and Manchester artists. For this I created a set of cards which collected the Rotterdam artists in a set. 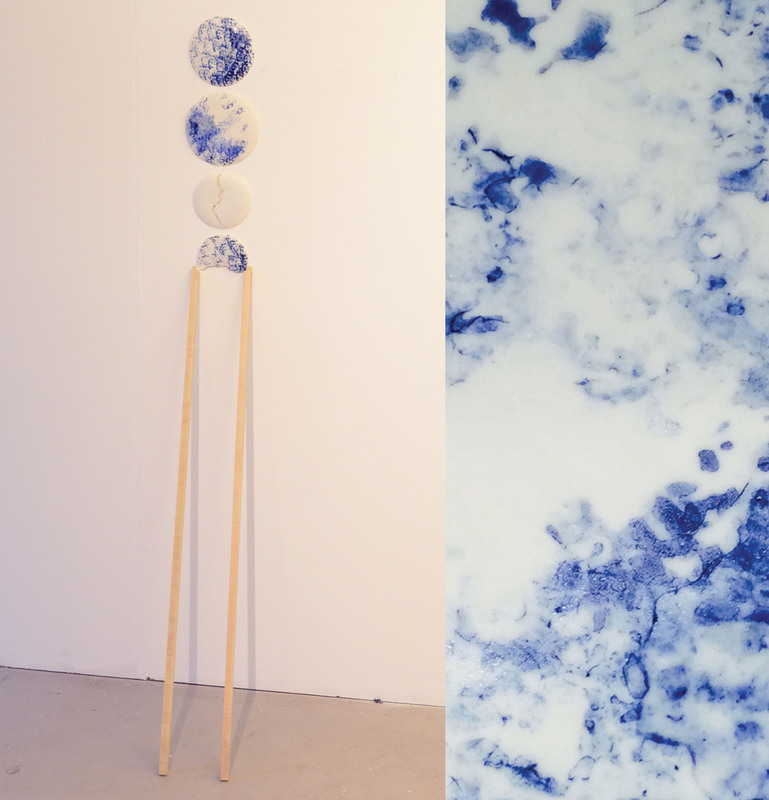 As for my work I researched more about the journey of porcelain from China to Delft and the definition of the colour blue of distance. A residency by distance with ‘NY space’ Manchester, UK and ‘Het AL’, Rotterdam. UK Michael Branthwaite, Nina Chun, Janine Goldsworthy and Darren Nixon.